20% Off Thursday Flash Savings! Click HERE for more Info! I’m blessed. Plain and simple. Not only am I fortunate enough to call the sunshine state home, I’m the proud owner of a Newmar motor coach and a 21 foot Cobia center console. 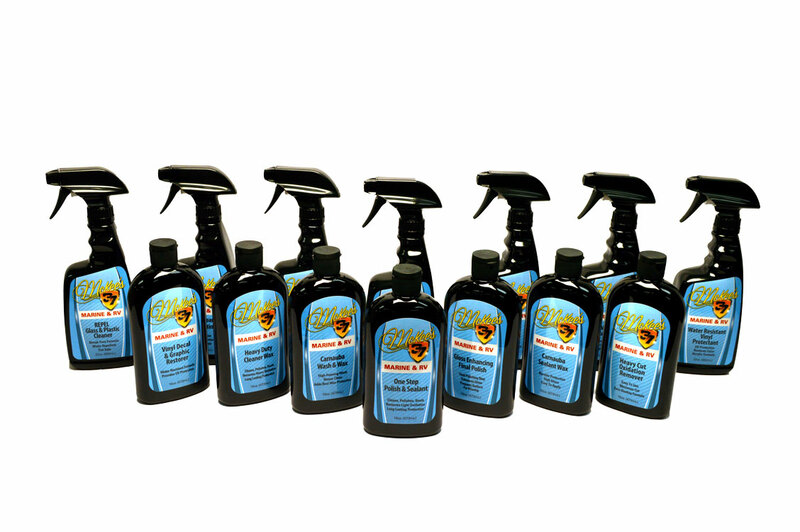 With my 30 plus years in the surface care enhancement industry, it was only natural to develop a product line tailored specifically for the unique cleaning requirements of boats and RVs. I was surprised to discover that my latest undertaking would be so much work, and I was also surprised at just how much fun I would have developing the entire line, from the high-sudsing Carnauba Wash & Wax to the hugely capable All Purpose Surface Cleaner. I thought it would be a walk in the park, because there are a lot of marine and RV products on the market. It was my goal, or mission as my senior chemist likes to call it, to make my line of marine and RV products superior to anything else available. What my team and I developed is so good I decided to put my name on it. Enter McKee's 37 Marine & RV. McKee's 37 Marine & RV is great product line, and I know you'll feel the same. Our One-Step Polish & Sealant, boat oxidation cleaner, RV bug remover and, my favorite, Hydro Pearl Sio2 Coating, are the best that money can buy. I have personally tested each and every product on my Newmar motorcoach and my 21 foot Cobia center console, and once you do, you will agree McKee's 37 Marine & RV represents the best surface care enhancement has to offer. It’s so good, I put my name on it. Vinyl Decal Restorer Wash & Wax Bucket Kit Free Towel! Marine & RV Mix & Match 6 Pack FREE Bucket! Vinyl Decal & Graphic Restorer 16 oz. Hydro Pearl Sio2 Coating Free Towel! Repel Glass & Plastic Cleaner 128 oz. Final Step Detail Wax 128 oz. Carnauba Wash & Wax, 128 oz. All Purpose Surface Cleaner, 128 oz. Bug Remover & Wax Restorer, 128 oz. Mildew Remover, 128 oz. Free 32 oz. Spray Bottle! Hydro Pearl Sio2 Coating, 128 oz. Free 32 oz. Spray Bottle! One-Step Polish & Sealant, 128 oz. Heavy Duty Cleaner Wax, 128 oz. Gloss Enhancing Final Polish, 128 oz. 15% OFF + FREE SHIPPING!